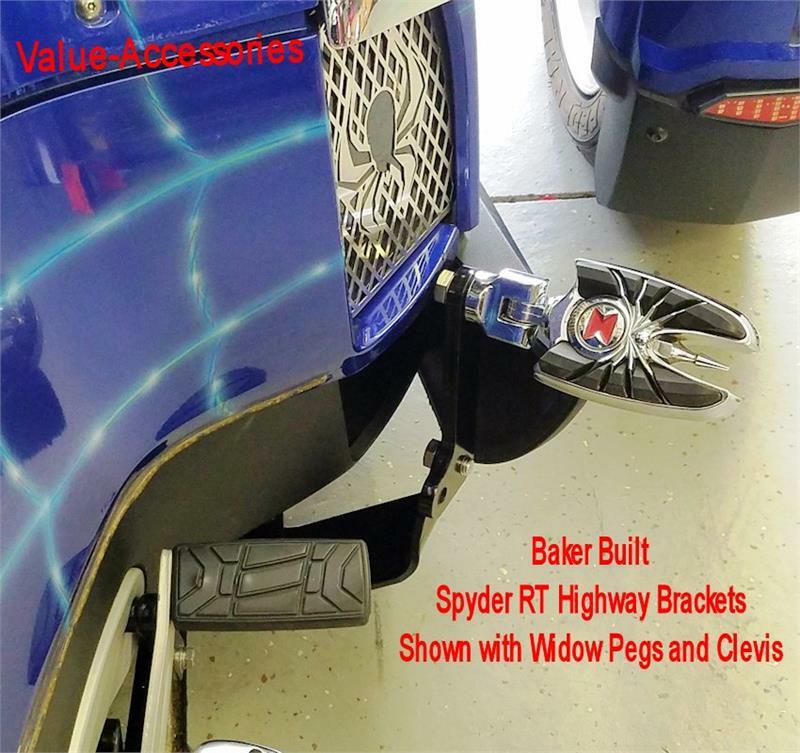 Increased comfort for Spyder RT riders. 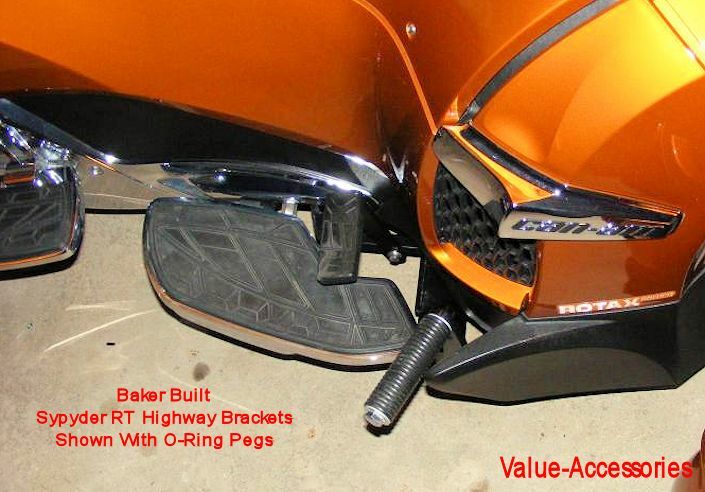 This Highway Peg Mount set gives increased comfort and the opportunity to stretch out and relax on the road. Requires no drilling or cutting for installation. 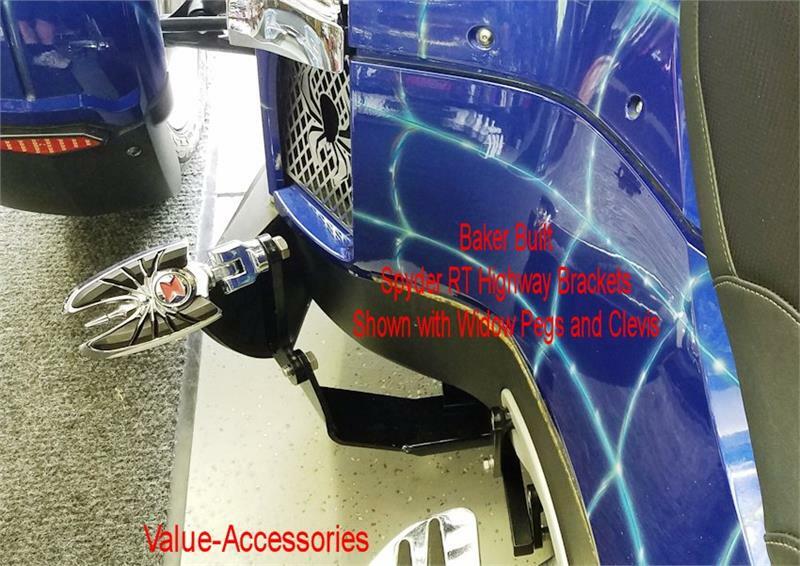 Installation: Simply REMOVE two screws on each side of the bike, INSERT bracket and REPLACE screws with our longer screws; THEN attach the support brace bar to increase durablity underneath. 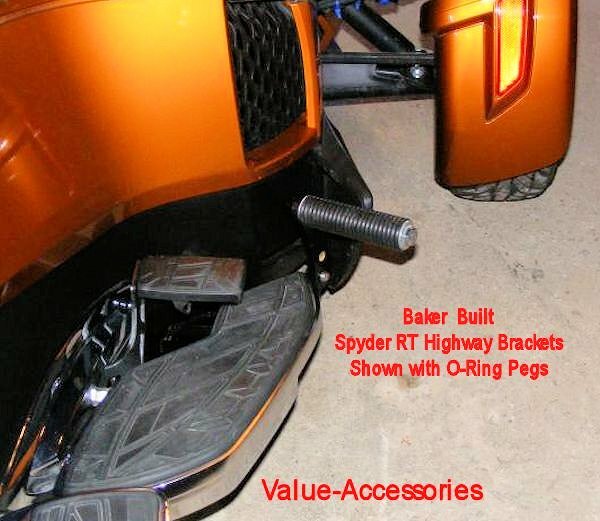 Add your choice of pegs to provide you with the a durable and comfortable highway peg bracket. 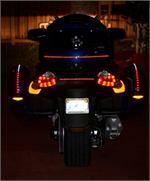 The highway bracket helps extend the pegs out for further leg extension. 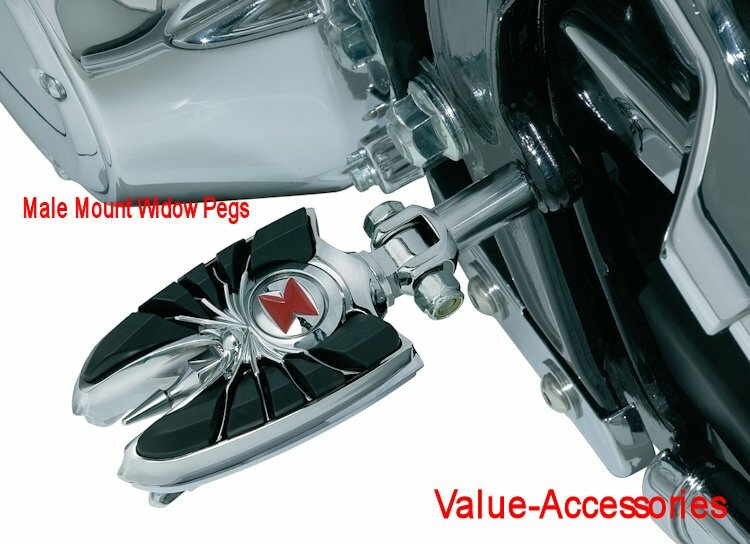 Places your foot just above the black plastic as shown in pictures. 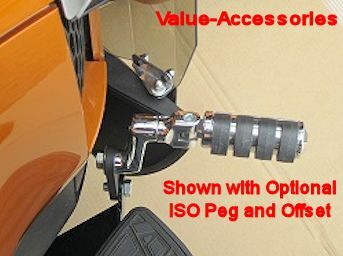 Pegs sold separately or just add to the kit under options above. 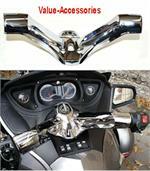 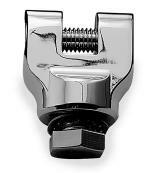 If you would like Gloss Black Pegs see the Kuryakyn Male Mount Pegs below.